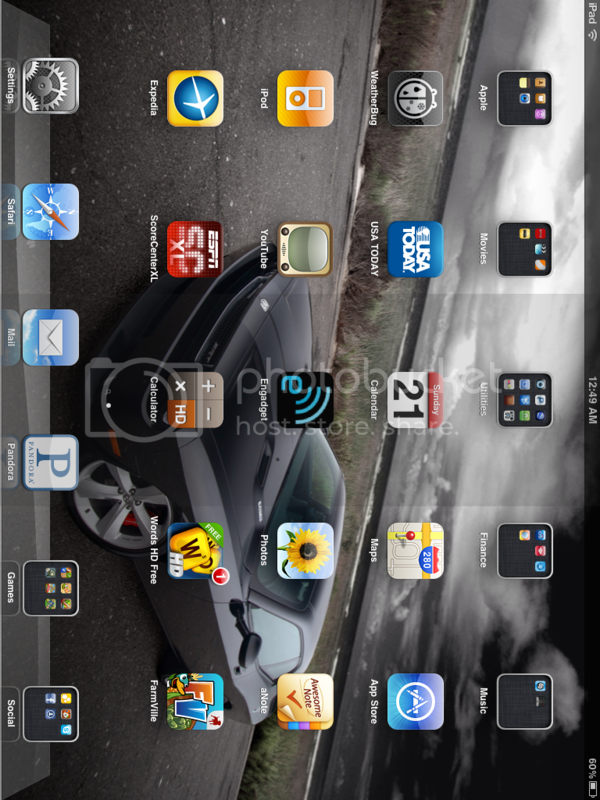 Discussion in 'iPad General Discussions' started by BusyMe, Nov 20, 2010. If you have 4.2 on your iPad, or do not have it but have given that any thought...how are you planning to organize your folders? By type of app or frequency of use or what? Mine is pretty much set up as you've suggested. I have my frequent on the bottom though with all my folders on the front page the bottom bar isn't as previous as it was in 3.2. Then I have a social folder, a weblinks folder, a junk drawer, utilities, shopping, and then a few game folders by type. Think I'll be doing similar to you Dannyboy, like the idea of having a frequently used in the tool bar at the bottom! No doubt my kids will want a Christmas folder like on my iPhone so i guess I should be planning one of those! A page with folders by type, utilities, games, network, etc. A page with folders alphabetical, some letters combined to fit. Then I would see which works best for me.